Read NSF responses to additional questions from the webinars. View a Storify of Tweets during the webinars. 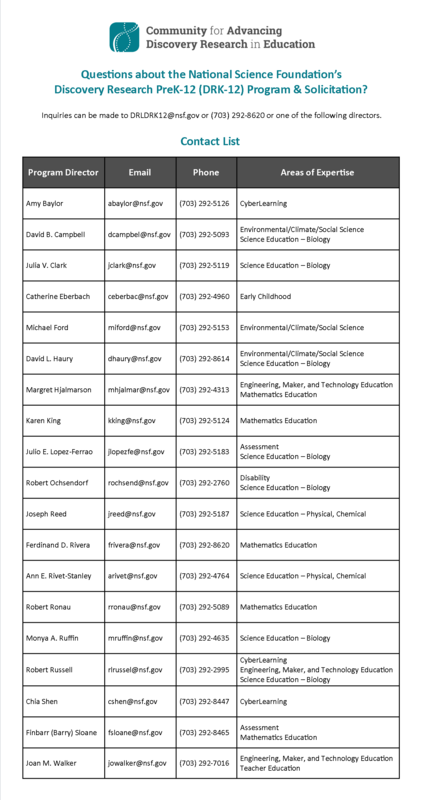 For additional resources, including the solicitation itself, please visit our NSF Proposal Toolkit. NSF program director provides information on the DR K-12 program and solicitation in this webinar series.